The 'Ones' are three-way, coaxial, active monitors, designed to cater for most professional studio environments including smaller studios where space is at a premium, high precision is required, and uneven sound colouration and frequency response need to be combated. Manufactured using recycled aluminium, each compact monitor has a pair of concealed, oval, low-frequency drivers radiating through slots located on both ends of the enclosure, positioned to be acoustically coaxial with the mid-frequency and high-frequency drivers. This ensures acoustic axes are aligned, resulting in a more accurate point-source radiator. 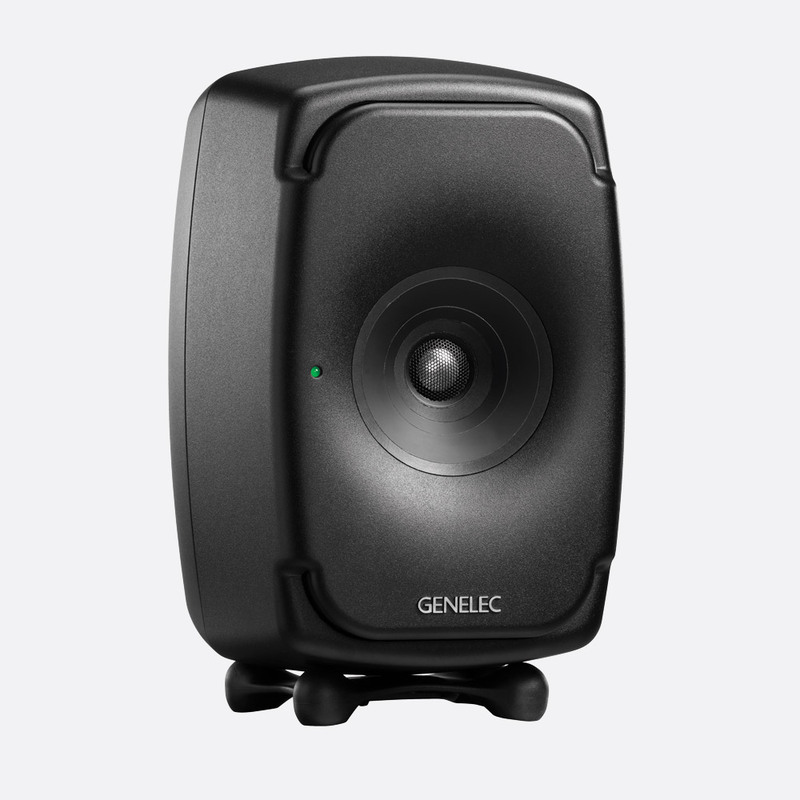 Additionally, using SAM (Smart Active Monitor) technology along with the Genelec GLM3 software application, which may be downloaded without charge, this range of monitors can be calibrated to ensure spectral balance is achieved for accurate listening. 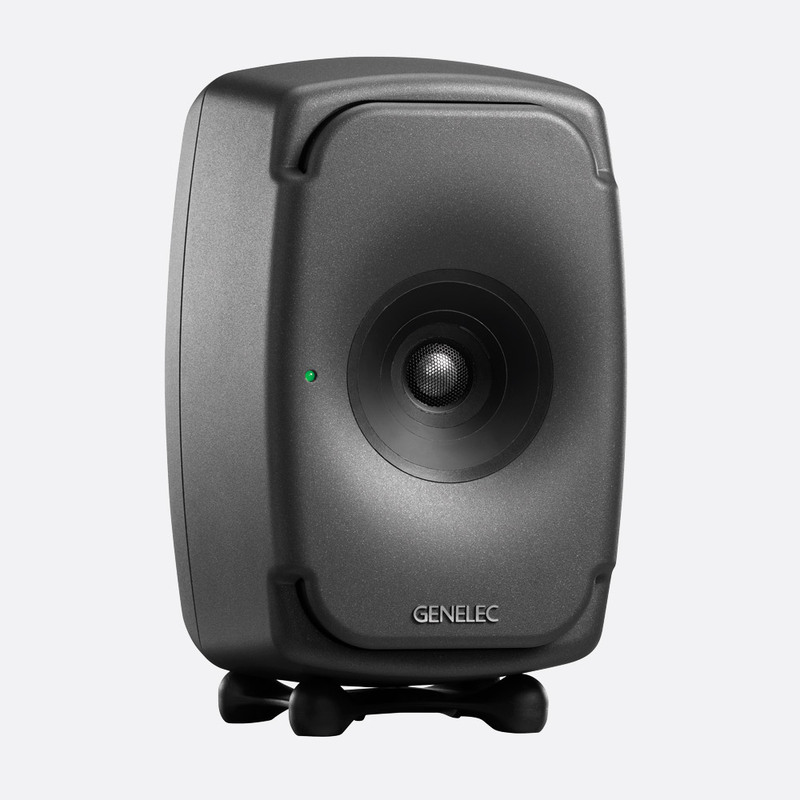 Ordering note: All Genelec 'The Ones' series monitor systems require the Genelec 9300-601 GLM 2.0 Loudspeaker Manager kit for full operation. The 'Ones' range of monitors is complimented by SAM series sub-bass units. 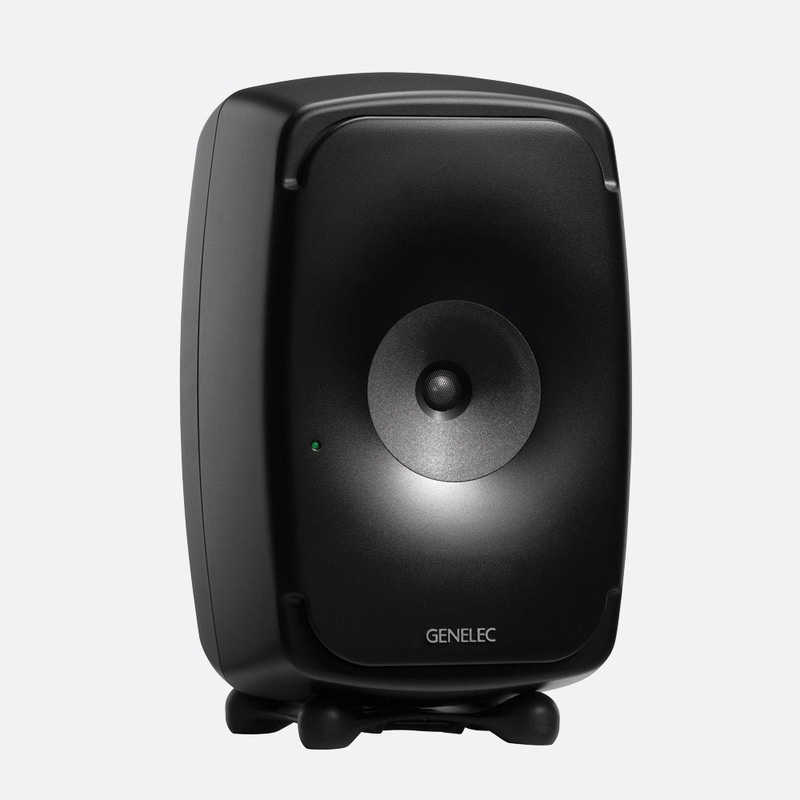 See Genelec Sub-Bass Active Loudspeakers - SAM Series. 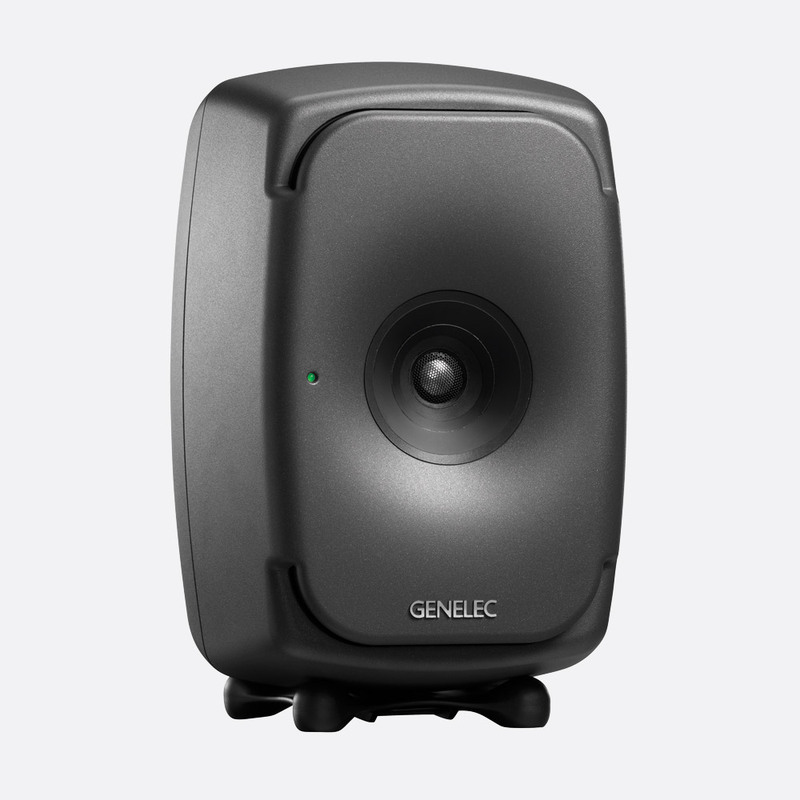 Available in black, dark grey, and white versions, the 8331 active, three-way monitor has dual 130x65mm, oval, low-frequency drivers, 90mm mid-range cone driver coaxial with a 19mm high-frequency metal dome. These drivers are fed by three integrated amplifiers, with 72W dedicated to the LF units, 36W to the MF, and 36W to the HF. A maximum, short-term output of 104dB SPL is complimented by a maximum long-term RMS output of 99dB SPL, and 0dB self-generated noise (at one metre, A-weighted). The 8331 SAM monitor has a frequency response of 45Hz to 37kHz(-6dB) and 58Hz to 20kHz. +/-1.5dB. ISS (Intelligent Signal Sensing) senses when the loudspeaker has not received any audio input for a period of one hour, and switches the loudspeaker into sleep mode, consuming less than 0.5W. When an input signal is detected the monitor resumes normal operation and power consumption. The front baffle has a green power LED; the IEC power inlet for the AC supply and latching power button are on the rear, along with audio and digital connectivity and switching. Dual seven-stage miniature (DIP) switches on the rear give access to functions such as 'Treble Tilt', to attenuate any frequencies above 5kHz by +2dB, -2dB, or -4dB in order to compensate for excessively bright or dull system setup and 'Bass Tilt' levels to attenuate frequencies below 800Hz at -2dB, -4dB, or -6dB, compensating for near-wall positioning and/or room brightness. ISS can be deactivated and DIP switches give access to LED on/off, bass roll-off (-2/-4dB, -6dB when both switches active), desktop reflection compensation to attenuate bass frequencies by 4dB at around 160Hz and a 'stored' setting. 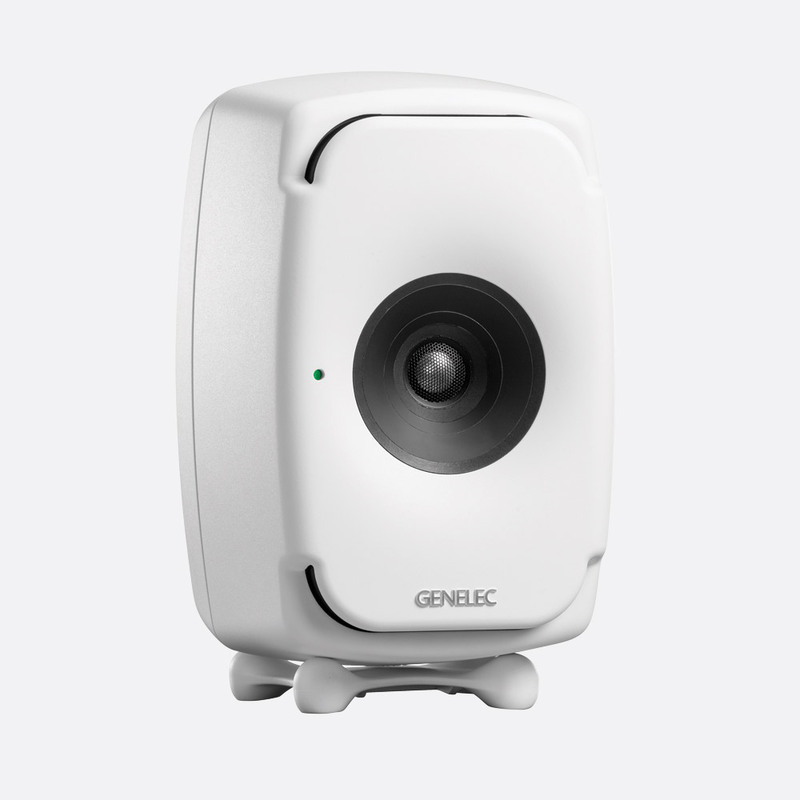 If activated, the 'stored' switch enables the monitor to recall the settings used in the GLM calibration software, otherwise the monitor uses the adjustments set on the monitor. Switches for Digital A and B select the required digital audio channel (A or B), if both are selected channels A and B are summed and attenuated by 6dB to avoid overload. The user can reduce the monitor output by -10dB or -20dB (-30dB if both selected) by way of DIP switches. Two network connections are available to connect and link to a GLM network, a single balanced 3-pin XLR input is shared for digital in (AES/EBU) and analogue audio in. A single 3-pin XLR output can be used as a digital 'thru' port for AES/EBU signals. Included accessories: AC mains power cable, 1x 5m GLM network cable, operating manual. Like the 8331 monitor the 8341 SAM is available in black, dark grey, or white finishes. Functionality, switching, and connectivity also match the 8331 SAM however, the 8341 has an additional balanced 3-pin XLR input for analogue input, giving digital in (AES/EBU) its own dedicated input. This monitor has dual 170x90mm, oval, low frequency drivers, a 90mm mid-range cone, coaxial with a 19mm high-frequency metal dome. The integrated amplifiers that power these drivers are rated at 250W (LF), 150W (MF), and 150W (HF). The maximum short term SPL is 110dB or greater whereas the maximum, long-term RMS output is 101dB SPL. 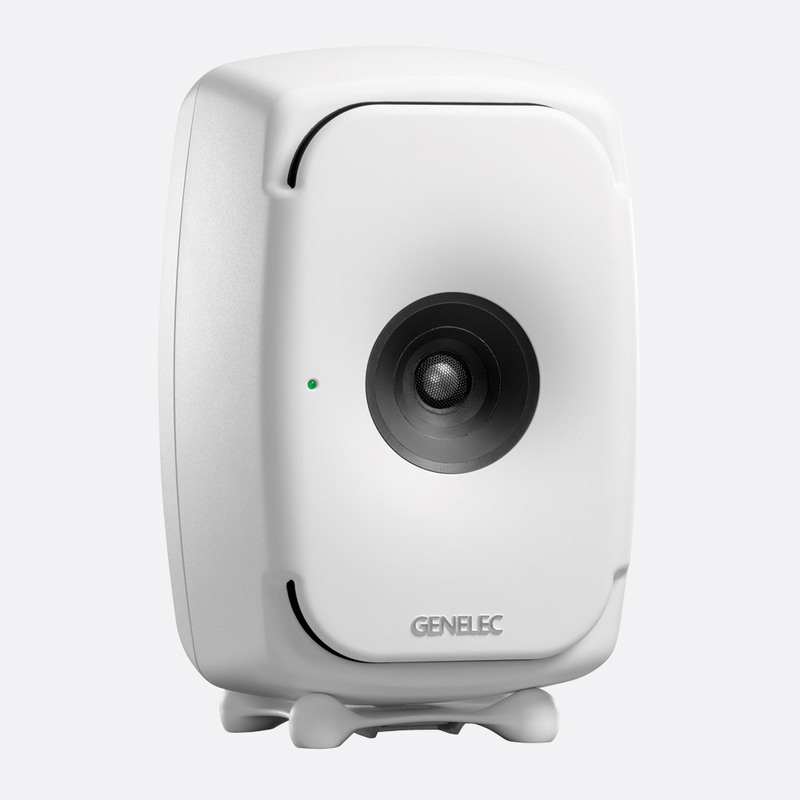 Self-generated noise is rated as less than or equal to 3dB, 1m, A-weighted. The frequency response of this monitor is 38Hz to 37kHz, -6dB and 45Hz to 20kHz +/-1.5dB. Similar to the 8331 SAM and 8341 SAM monitors in terms of design and manufacture the 8351 active monitor has dual 200x100mm oval, low frequency, drivers, a 130mm mid-range cone coaxial with a 19mm high-frequency metal dome. These are fed by a class D 150W amplifier (LF), a class D 120W (MF), and class AB 90W (HF) amplifiers. 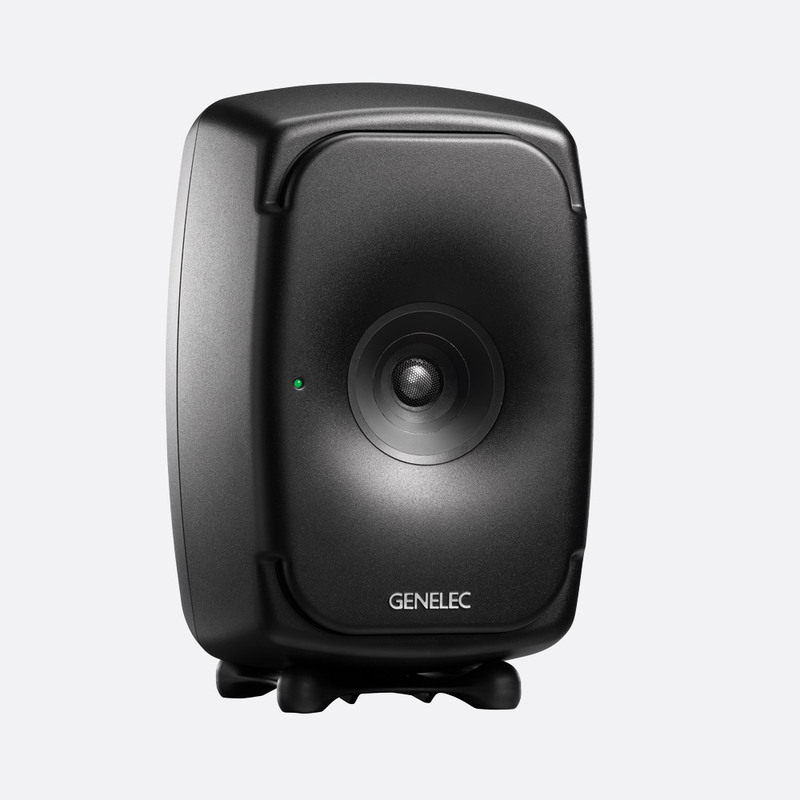 The maximum short-term output is 111dB SPL or greater. The frequency response of this monitor is 32Hz to 35kHz, -6dB, and 38Hz to 20kHz +/-1.5dB. The input connectivity and switching of the 8351 is the same as the 8341 monitor with the exception of two switches: 'Driver Mute WF' (low frequency) and 'Driver Mute COAX' (mid/high frequency), replacing ISS and LED enable switches. Note (1): +/- 1.5dB. (2): Or better, -6dB. (3):SPL at one metre, short term. (4): Or lower. (5): Short term. (6): WxDxH. The rear face of the desktop GLM network adaptor has a USB 2.0 type B connector that can be used to power the unit via a compatible computer or mains adapter. A yellow LED shows power on status. A 3.5mm jack provides connectivity to the 9310A volume controller; a second 3.5mm jack allows for the connection of the included 8300A calibration microphone. Two RJ45 network connections link to compatible monitors and are complete with terminator (the latter being optional).